Drosera burmannii flower party |Sundews Etc. 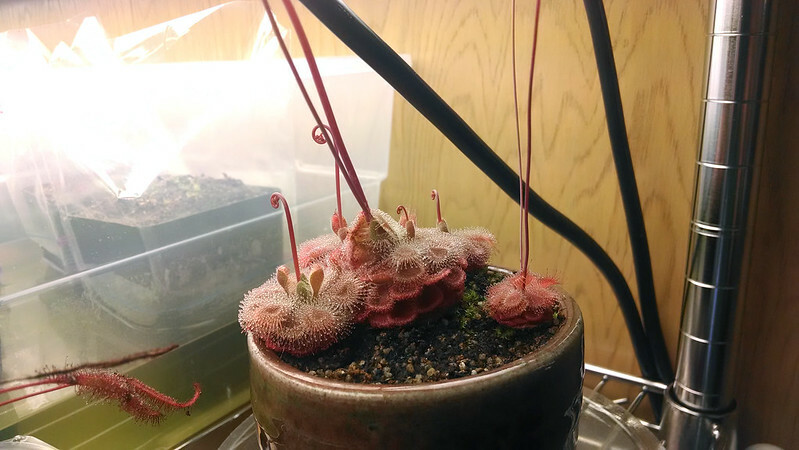 There's something brewing in my Drosera burmannii competition pot. D. burmannii is really going nuts with the blooming, but I guess that comes with being an annual. That's nine flower stalks. Notice also how it's much less red than when it was in competition form – I've been feeding it. 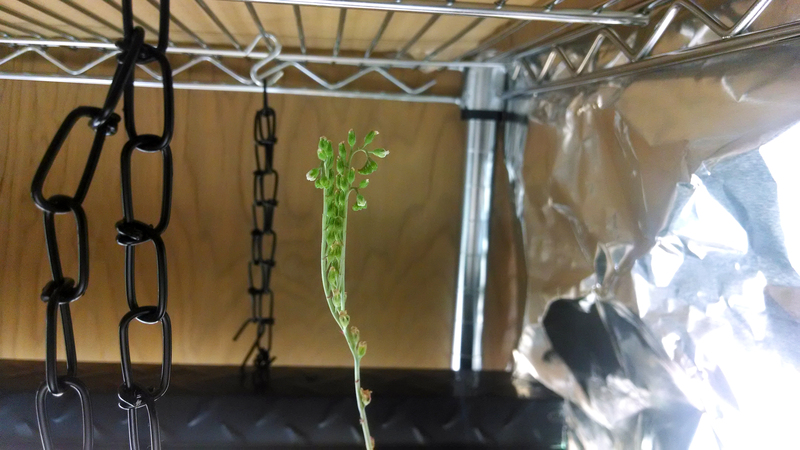 The largest sundew is hosting 3 stalks right now, including one which is stretching up above the lights and is just packed with buds. Notice the flower stalk actually splits into 3 to accommodate more buds. Nice! I think it'll be another week or so before it's all bloomed out, and then another week or two for all the seed to mature. Then I'll be pretty much swimming in seed, which will be nice for trading and sharing. 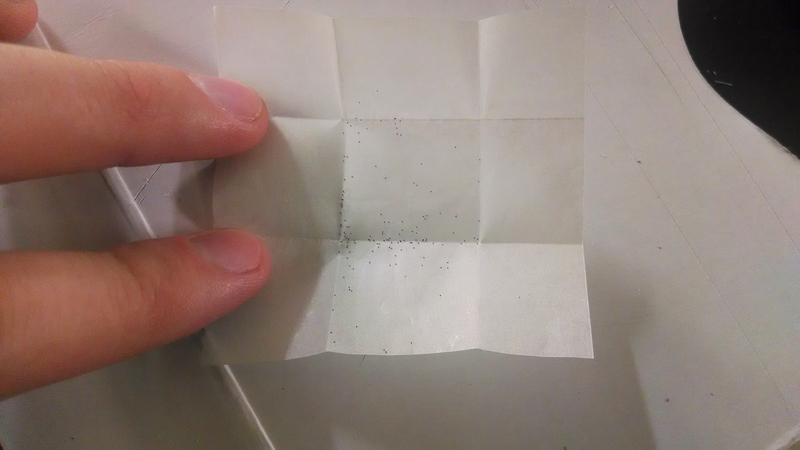 It's sort of a pain to work with though, because the seeds are really tiny. Like, ridiculously tiny. The smallest I've had to work with so far. The seeds of D. burmannii are basically like grains of fine-ground pepper. I mean look at that. I like to keep my seeds in packets of 50, but this is ridiculous. I'll have to find a better way to sort/measure them out. But at least I know I won't run out of D. burmannii any time soon! That's great! I hope my plants are similarly prolific. It's such a neat 'dew! Wow! My son’s school teacher helped him once with a plant growth. She used to tell every student to plant a tree or to grow a plant on their birthdays and then she would just arrange a good party in some beautiful party venue. I liked her a lot.